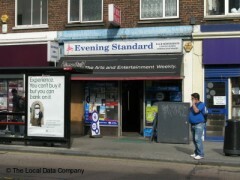 About: Ajmer Johal & Co Ltd is a newsagent/convenience store and an off licence. They also provide travelcards and bus passes. This is definitely the friendliest shop in Camden. I've been coming here for years and the family who run it are some of the nicest people I have come across during my lifetime.